2017. Wittgenstein and Merleau-Ponty. London: Routledge. This edited collection examines the points of comparison and contrast between the philosophies of Merleau-Ponty and Wittgenstein. More info is available from Routledge. 2011. 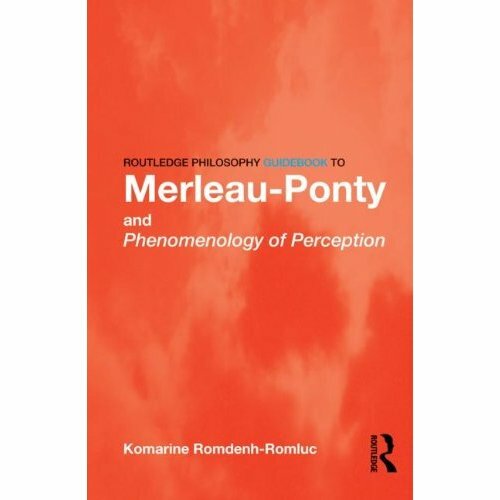 Routledge GuideBook to Merleau-Ponty and the Phenomenology of Perception. London: Routledge. As the name suggests, this book is intended as as guide to Merleau-Ponty’s Phenomenology of Perception. It covers topics in roughly the same order as they appear in the text. It’s missing a chapter on freedom due to the word limit. The material on freedom is also a bit easier to follow than the rest of the text, which is why I chose to omit it rather than something else. More information is available from Routledge. Katherine Morris has reviewed my book in the European Journal of Philosophy.